In April this year, Amazon.com issued a shareholder letter that stated: “The Prime Air team is already flight testing our 5th and 6th generation aerial vehicles…″ Fast forward three months to the first half of July, and the company is on its 9th generation of drones, which can fly up to 50 mph (~80 km/h) and carry up to 5 pounds (~2kg) of payload — enough for 86% of the products Amazon sells. The rapid development of Amazon’s drones was facilitated by intense indoor testing, including test flights in their research lab in Seattle. Some of the features they were testing included agility, flight duration and redundancy. Most importantly, the company claims to have developed sense-and-avoid hardware and software that will allow its drones to automatically avoid collisions. In order to progress further with development, outdoor testing in more realistic conditions is necessary. Since Congress gave the FAA power to grant innovators “expedited operational authorization”, Amazon is asking to be exempted from the lengthy and complex FAA approval process, citing innovation as a driving factor. 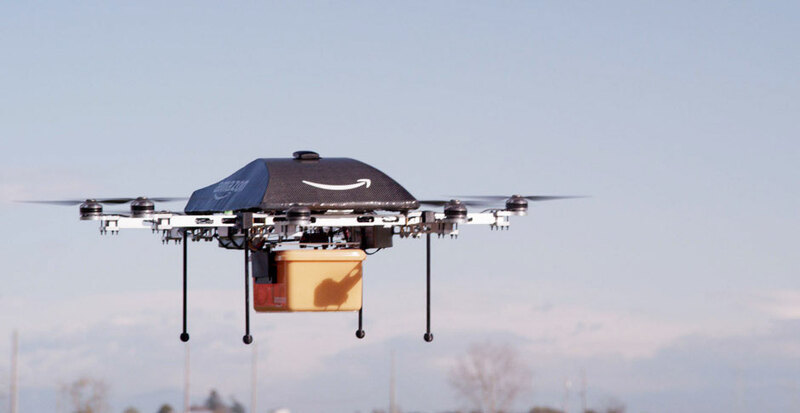 An exemption would also allow Amazon to test the safety, communication, and air traffic control of their drones outside the six testing sites where the FAA currently allows unmanned aerial vehicles to be operated. If an exemption is not granted, dronologista predicts that Amazon will simply move its drone operations abroad. Canada is already very hospitable to commercial drone operators, for example. The full text of Amazon’s Petition for Exemption can be found here. Detailed articles about the issue can be found at Forbes and Cnet. Videos courtesy of Amazon and DJI Innovations.